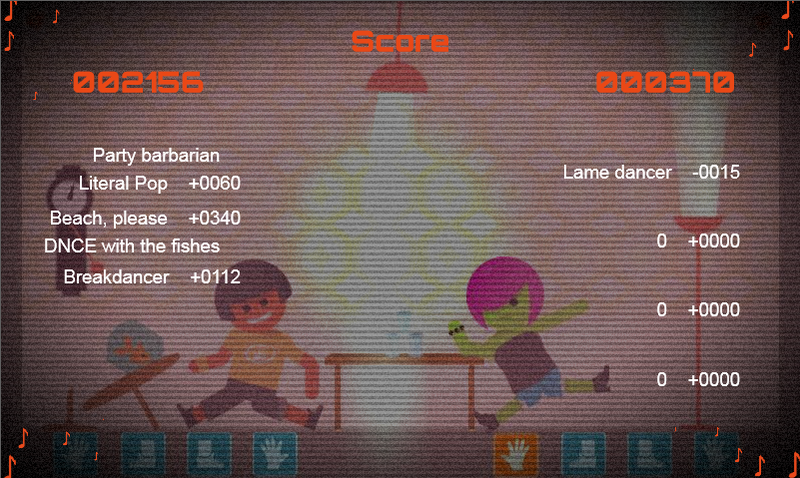 NCE PRTY is an unlikely dance simulator that will teach you what NOT to do during a party at a friend's house. Once you've selected your tune the player/s (you can play on your own, compete against a a friend or the CPU) will find themselves in a little room where they will dance 'till the music ends. 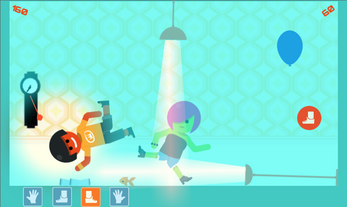 Ty to follow the rhythm, hit the markers that appear on screen with the designated part of the body, and smash without hesitation every piece of furniture on the stage. 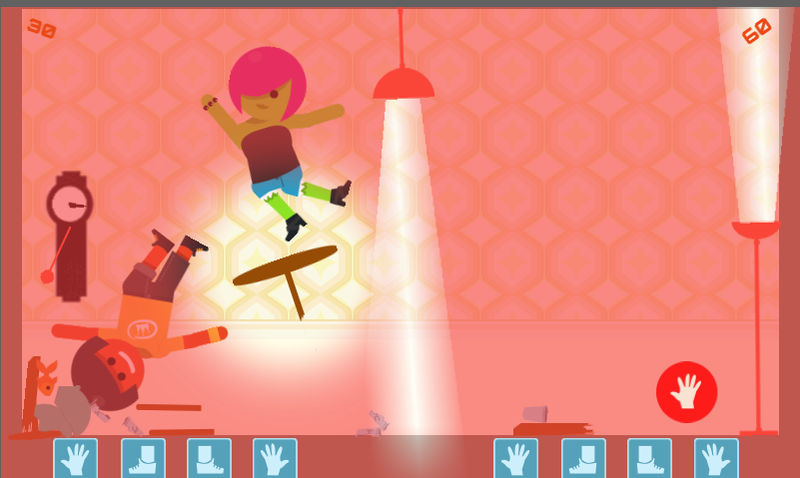 Between a broken fish bowl and some violent physical contact you'll also find some special balloons: pop them to unleash crazy game alterations! 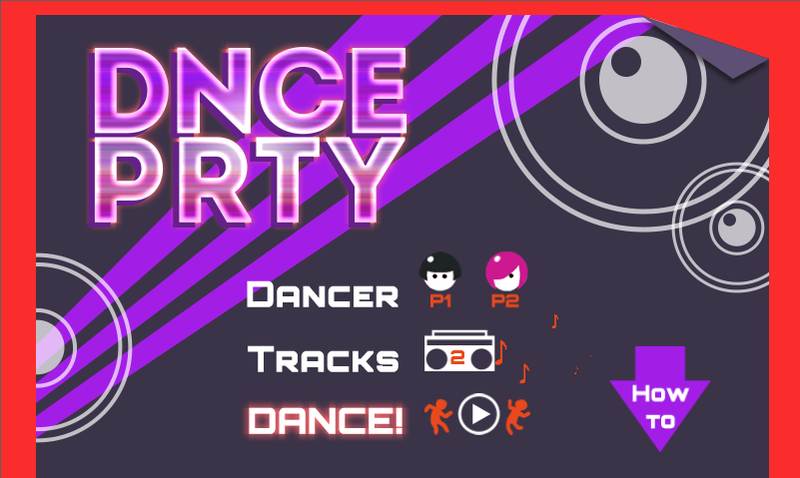 Once your track ends you can enjoy some snaps shot during the party and finally see your score… but don't stand still too long and start dancing again, 'cause the DNCE PRTY must go on! 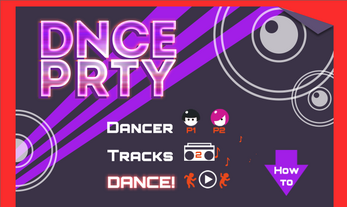 DNCE PRTY was developed during November 2013's GameJoltContest 10 (the theme was obviously "PARTY"). We developed the game in HTML5 with the help of Construct2 and Box2DJs, in order to make it playable on (almost) anyone's browser. 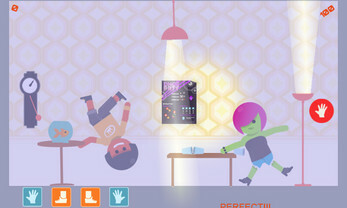 A big thanks goes to BigBangPixel, who helped us in the making of it, and also toPlayonloop.com and freesound for the amazing music and sound effects.